It’s an undeniable fact that over the last five years, the vacation rental industry as a whole has experienced the most radical evolutionary shift since it’s inception. For the first time in history the vacation rental industry has a top-of-mind position for travelers of all demographics, thanks in large part to the heroic efforts of companies like AirBnB and HomeAway/VRBO. An increasing majority of properties are instantly bookable online, consumer mediated (via the review system), e-commerce based, and a “first option” consideration for travelers — a much needed progression for this young/old industry. But despite all these incredible evolutionary steps in the industry, the core offering has largely remained unchanged: the property. For property managers, their core offering has not been the property however. Their core offering through history has been the service of helping guests find, book, and stay in the property that best suited their vacation needs. A property manager’s core competitive offering historically was their relative success (or failure) in providing these services ​compared to the other property managers in their market. Guest loyalty was largely earned by the guest’s perception of finding “a great company” to host them for their stay, rather than a company that could provide the best price. Not long ago in our industry, if a traveler was not experienced with this property manager from a past stay, the guest largely felt they were rolling the dice with their vacation and thus repeat booking percentages with the same company year after year continued at high, unmaintainable rates. 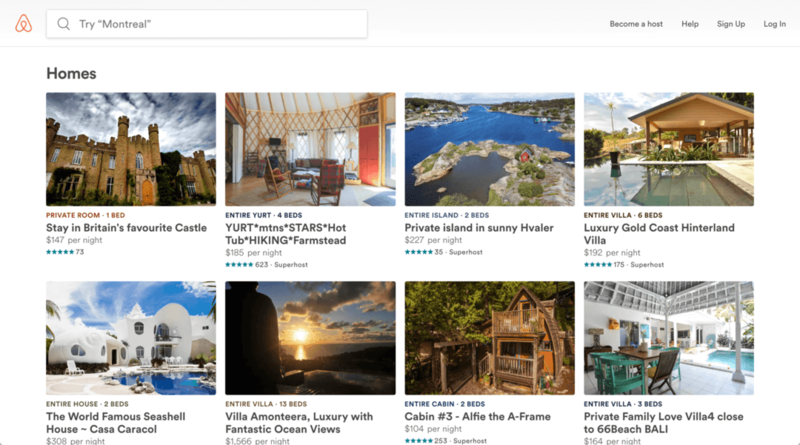 ​While having a rich and established history, the recent evolutionary strides the major listing sites have (rightly) driven in the market have also driven a very dangerous reality: commoditization of vacation rentals. Listing sites are driving downward pressure on price as inventory continues to be added in each market that is instantly bookable. As listing sites continue to gain dominance, drive prominence, and aggregate the breath of home offerings in one central place, consumers are less and less likely to perceive the difference between one property versus another. As far as the guest is concerned, they are not even buying a service, but a product. As available inventory continues to grow, perceived differentiation is going to continue to plummet at an incredible rate. This means one thing, and one thing only: property managers are no longer competing on service, they are competing on “price, price, price”. ​This is literally a worst case scenario for ANY business. Commodities are always the lowest earners in any market category, the hardest businesses to earn margin with, and the businesses least likely to survive market shifts driven by players higher up in the food chain. As HomeAway, AirBnB, and other major listing sites continue to collectively spend billions on ​further market growth and development, new inventory continues to come online, and travelers increasingly book vacation rentals as their first choice, the future commoditization of the vacation rental is going to exponentially increase. Dying are the days when a property manager primarily competed on their core offering, the service. In a commodity market, having a property clean, batteries in remotes, flatscreens in working order, internet up and running, hot tub clean and operational, kitchen well stocked, thoughtful touches, and the various amenities of the property up to par are no longer a competitive advantage; these are now the minimum expectation. What once was considered a great and desirable service by the few expert travelers that knew of this hidden service offering known as a “vacation rental” is now a bare minimum requirement for any plausible business viability. Simply being excellent at the operational tasks that go in to running a property management company is no longer enough to earn repeat visitors year after year. Heightened awareness of choice brought by the listing sites and general e-commerce prominence is driving repeat bookings to an all-time-low, as price sensitivity is racing towards an all-time high. We see this and we wonder, ​what is a property manager to do? A coffee bean is one of the least value commodities in the world. Trading recently at $0.0005 per pound, the commodity is traded, bought and sold purely on the basis of price. Yet, as B. Joseph Pine II rightly observed in his book, The Experience Economy​ (great book by the way), the economic offering of a coffee bean is an archetype of sorts that depicts ​one way a common commodity can reach the upper echelon of consumer demand. A bean as a commodity is nearly worthless. A bean bought, roasted, and now packaged as a good has a low but increased price. 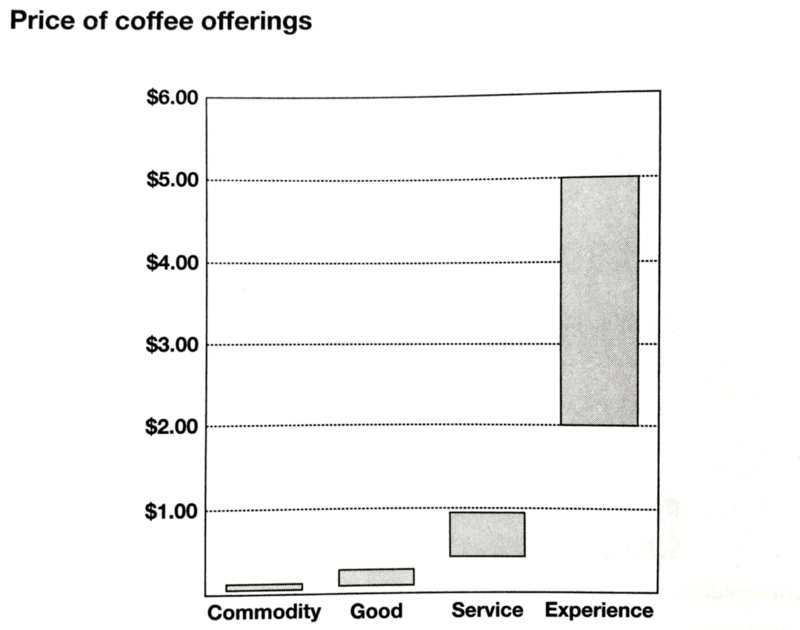 Coffee brewed and served at a diner or restaurant as a service, while having an increased price over the packaged roasted bean, is still competing on price, and reaping on the lower end of the earning spectrum. Ah, but to buy a cup of cold brew coffee at one of Howard Schultz’s Starbucks locations — now that’s going to cost you. No one argues that Starbucks is competing on price — the exact opposite is in fact true. With this experience perfected, Starbucks approaches their pricing strategy exclusively with the mindset of “how high can we charge?” instead of, “how cheap must we charge?”. 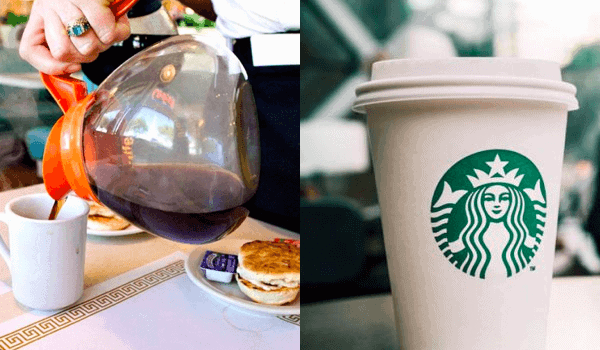 ​Price-per-cup is radically different between the diner price versus the Starbucks price. Price-per-cup is radically different between the diner price versus the Starbucks price. ​How did Howard Schultz earn this ability to differentiate himself from being the diner service provider, selling a cup of coffee for $1 with unlimited refills, to routinely earning $3.50–6.00 per cup with no refills? ​​By usurping the service economy all together — Starbucks is an experience. The successful property managers of the future are going to be forced to give up their current title — instead, they must become Experience Managers. They must excel chiefly at creating the very opposite of commodity: the uniquely personalized experiences that elevate “the stay” in every possible way. Gone are the days of simply providing a well-maintained, clean home and addressing issues during the stay that may arise. ​As differentiation continues to disappear — this is the bare minimum requirement to enter the competition. ​​As Matt has rightly surmised in his Theory Of Limited Edition, the future of the vacation rental industry only has two core classes of property managers: Those who compete on price, and those who compete on experience. 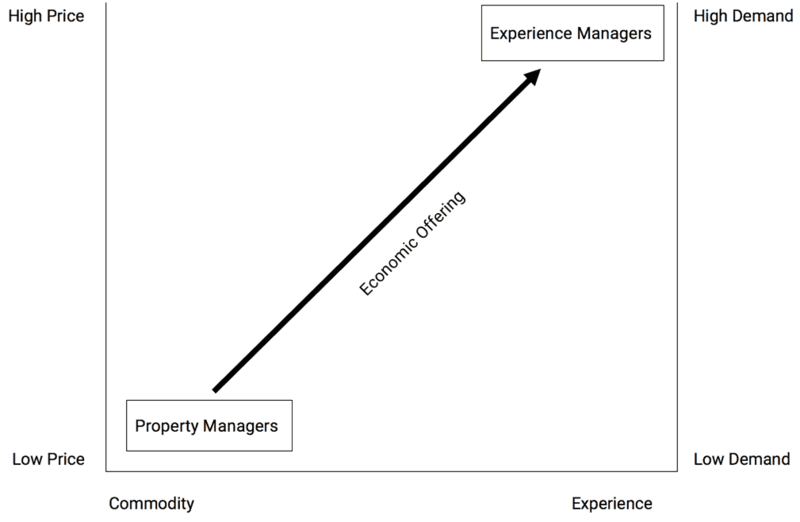 Those who compete on price (and their service by extension) are commodity managers at their core— but those who compete on Experience are Limited Edition Property ​Managers who will enjoy higher demand, higher prices, and relief from the tide shifts of the industry. Property Managers who do not successfully cross the divide from current-state to being expert, bespoke experience providers, are destined to compete on price. This means they will continually be beaten-up by the market, watch prices/margins/profits fall — in short, they will be powerless against the whims of the listing sites and the corresponding consumer demands. ​The property managers who do however make the leap successfully, will understand rightly the need for every customer to receive the same baseline commodity (the clean, well-maintained home), and layer on-top through-out the duration of the stay incredible, unique, custom-tailored experiences that go well beyond providing a service —​these managers​ create the all-valuable memories. 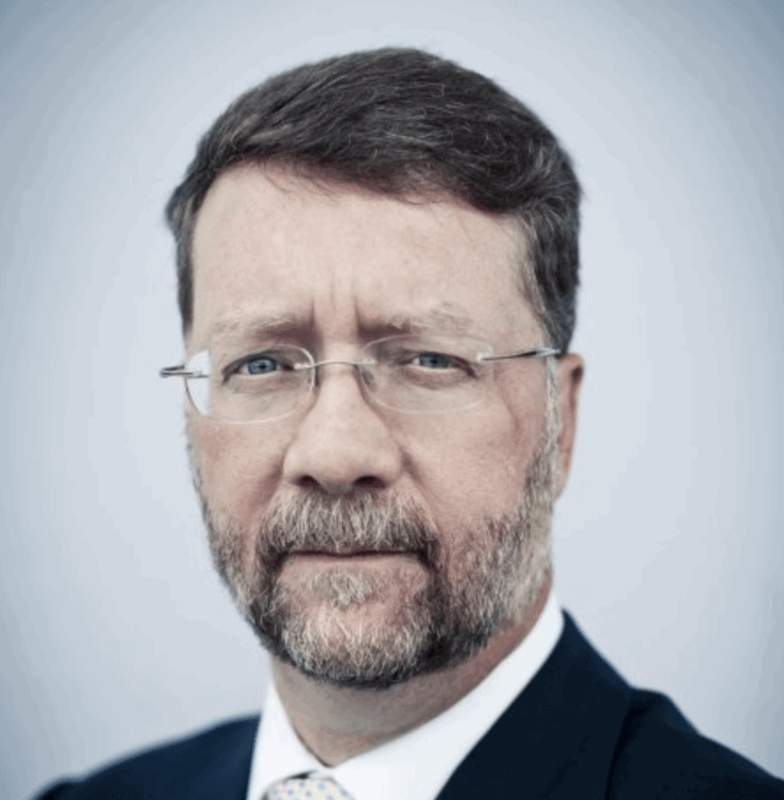 When executed exceptionally, as business owners ​these managers ​have the added benefit of regaining control of their own destinies, not being constantly dragged about by the shifting tides of the big brands in the industry. As I travel and speak with property managers from all over, I inevitably find myself having the same conversation about the changing climate of guest behavior. 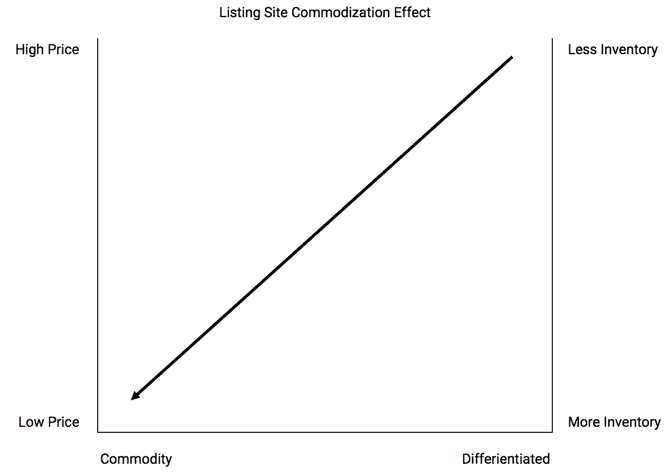 This is the reality of the vacation rental industry being well on it’s way to broad commoditization. This is also proof that the baseline expectation for the product/service is becoming a common expectation, rather than a competing benefit. Regardless of our ability to understand the value proposition of a 1,500 sq/ft home renting for $200/night contrasted by a 250 sq/ft hotel room renting for the same price — as listing sites and e-commerce channels strengthen their downward pressure on the market, travelers will continue to see price as the greatest differentiator in their choice when selecting a property if property managers continue only competing on service (as they have historically). It’s no surprise ​therefore, that property managers are reeling at the recent changes by HomeAway’s pricing structure. The roll-out of the “Traveler Fee”, and this months roll-out of the “Match-back Fee” has sent property managers in to an absolute craze. Here's why property managers are reeling at recent listing site changes: here's why they're in an absolute craze. Whether their anger is legitimate or not is irrelevant — the core issue is the same: If they continue to compete at the commodity level, they will continue to have zero say-so in the market changes the listing sites introduce. It will be a long, painful battle as they continue to give up profit/margin as listing sites increase their cut from the guest. ​I have given a lot of thought about how realistic it is for property managers to make the necessary changes and not only compete, but thrive in their local markets...markets that​ have radically shifted, will continue to shift, and ​will never ​go back — the traveler won’t let it. Property management is dead as we know it. For the current property manager, this ​may mean a complete, utter, ruthless reinvention of ​the company, ​the core offering, and how ​we think about the services ​we offer. ​In order to fetch high demand and high price, the Property Manager must significantly increase their economic offering to out-compete the variety/convenience/ease of booking a commodity property with major listing sites. ​The most straightforward solution ​suggests that​ how a property manager sells themselves to prospective owners must change. They way they think about their inventory must change. The way they describe and market the property and the stay must change. The titles they give staff members must change (e.g. Gone are “Booking Agents”, hello “Experience Directors”!). The property manager must force a shift where it is no longer an option, but a fore-gone conclusion that guests will be booking bespoke, custom-tailored experiences through their host. ​We must change the narrative from first touch to be less about the property, and more about the experience ​we are able to create for ​a guest's stay that no other company can. 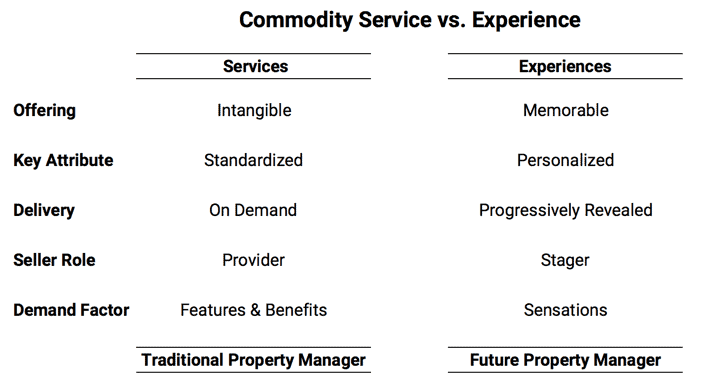 This, and only this, will be the new differentiating factor for the property manager of the future: those who continue attempting to compete on their service offering, and those who compete on the remarkable, memory making experiences they help create. Wes Melton is a builder of things, technology expert, and Lego fanatic. Previously a technology consultant to national brands, he now spends his days building his brand, writing code, and contributing to the broader business and technology community.